May 10 is the 130th day of the year(131st in leap years) in the Gregorian calendar.There are 235 days remaining until the end of the year. 1962 – Marvel Comics publishes the first issue of The Incredible Hulk . 1967 – The Northrop M2-F2 crashes on landing, becoming the inspiration for the novel Cyborg and TV series The Six Million Dollar Man . 1970 – Bobby Orr scores "The Goal"  to win the 1970 Stanley Cup Finals, for the Boston Bruins' fourth NHL championship in their history. Year 28 BC was either a common year starting on Saturday, Sunday or Monday or a leap year starting on Saturday or Sunday of the Julian calendar and a common year starting on Saturday of the Proleptic Julian calendar. At the time, it was known as the Year of the First Consulship of Octavian and Agrippa. The denomination 28 BC for this year has been used since the early medieval period, when the Anno Domini calendar era became the prevalent method in Europe for naming years. Year 213 (CCXIII) was a common year starting on Friday of the Julian calendar. At the time, it was known as the Year of the Consulship of Aurelius and Calvinus. The denomination 213 for this year has been used since the early medieval period, when the Anno Domini calendar era became the prevalent method in Europe for naming years. Claudius Gothicus, also known as Claudius II, was Roman emperor from 268 to 270. During his reign he fought successfully against the Alemanni and decisively defeated the Goths at the Battle of Naissus. He died after succumbing to "pestilence", possibly the Plague of Cyprian that had ravaged the provinces of the Empire. Year 874 (DCCCLXXIV) was a common year starting on Friday of the Julian calendar. Year 689 (DCLXXXIX) was a common year starting on Friday of the Julian calendar. The denomination 689 for this year has been used since the early medieval period, when the Anno Domini calendar era became the prevalent method in Europe for naming years. Prince Kusakabe was a Japanese imperial crown prince from 681 until his death. He was the second son of Emperor Tenmu. His mother was the empress Unonosarara, today known as Empress Jitō. Saint Aurelian of Limoges is venerated as a Christian saint. Christian tradition makes him the second bishop of Limoges, and the successor of St. Martial. Saint Calepodius was a priest who was killed during the persecutions of Christians by the Roman Emperor Alexander Severus. One of the catacombs of Rome, the cemetery of Calepodius on the Aurelian Way, was named after him. Saint Catald of Taranto, Irish monk, fl. 7th century. 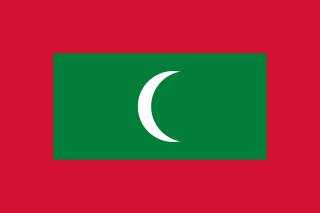 The Maldives, officially the Republic of Maldives, is a country in South Asia, located in the Arabian Sea of the Indian Ocean. It lies southwest of Sri Lanka and India, about 1,000 kilometres (620 mi) from the Asian continent. The chain of 26 atolls stretches from Ihavandhippolhu Atoll in the north to Addu Atoll in the south. Comprising a territory spanning roughly 298 square kilometres (115 sq mi), the Maldives is one of the world's most geographically dispersed sovereign states as well as the smallest Asian country by land area and population, with around 427,756 inhabitants. Malé is the capital and the most populated city, traditionally called the "King's Island" for its central location. Saints Alphius, Philadelphus and Cyrinus, martyrs in the Byzantine traditions of southern Italy, were three brothers from Vaste, in the diocese of Otranto, who died with their mother, Benedicta, during the persecution of Decius, ca 251 AD. The details concerning these martyrdoms are traditional, drawn up at a later date in the Benedictine Acta of Saint Alphius. December 12 is the 346th day of the year in the Gregorian calendar. 19 days remain until the end of the year. May 15 is the 135th day of the year in the Gregorian calendar. 230 days remain until the end of the year. October 4 is the 277th day of the year in the Gregorian calendar. 88 days remain until the end of the year. ↑ Sharon Bennett Connolly (15 September 2017). Heroines of the Medieval World. Amberley Publishing. pp. 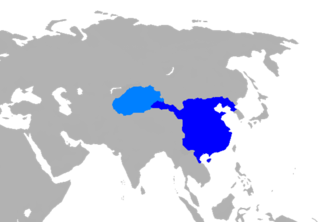 182–. ISBN 978-1-4456-6265-7. ↑ Frank Northen Magill (1986). Critical Survey of Drama: Authors. Salem Press. ISBN 978-0-89356-386-8. ↑ The biographical encyclopedia of astronomers. Bracher, Katherine. New York, NY: Springer. 2007. p. 876. ISBN 9780387304007. OCLC 184930573. ↑ Mosley, Charles, editor. Burke's Peerage and Baronetage, 106th edition, 2 volumes. Crans, Switzerland: Burke's Peerage (Genealogical Books) Ltd, 1999. Page 136. ↑ Keir Radnedge (2001). The Illustrated Encyclopedia of Soccer. Universe Pub. ISBN 978-0-7893-0670-8. ↑ Sir Nicholas Harris Nicolas (1842). History of the Orders of Knighthood of the British Empire; of the Order of the Guelphs of Hanover; and of the Medals, Clasps, and Crosses, Conferred for Naval and Military Services. J. Hunter. pp. 409–. ↑ John Logan Allen (1997). North American Exploration. U of Nebraska Press. pp. 146–. ISBN 0-8032-1015-9. Wikimedia Commons has media related to May 10 .